We have shortage of everything. Food, money, workforce, time. But as per one article that appeared on todayIfoundout.com, the might U.S. had to face a shortage of a very important equipment in life. Toilet papers!! I don’t understand how they went about their business during that time. Meanwhile few important events which can be related to this shortage occurred during this period. Australia beats USA in Cleveland in davis cup(5-0). The US surely had other things on mind apart from winning this cup. Pioneer 10 reaches Jupiter. They had to find an alternate to this toilet paper shortage. And that too quickly, no matter what the cost. Jupiter seemed to be the final frontier. Paul McCartney releases "Band on the Run" album. The shortage did seem to have some effect even on the U.K. Were they running to the stores or running away from the americans, can be clarified when and if I listen to this album. Bahrain’s constitution goes into effect. The US was not looking. They had other things on mind. Wings release "Band on the Run". See!! Everyone was running. I need to listen to this too. "Seesaw" closes at Uris Theater NYC after 296 performances. The smell in the theatre was overpowering. They needed a scanner to keep unclean behinds out of the theatre. US kidnap victim Paul Getty III freed. The kidnappers demand of a million pieces of toilet paper rolls were met with. Soyuz 13 launched into Earth orbit for 8 days. Fearing a similar shortage in the soviet union, they went on a lookout for an alternate. Israel, Egypt, Syria, Jordan, US & USSR meet in Geneva. A solution to the worldwide scare about this shortage was the agenda of this meeting. Mossad was already onto it and had few leads. 6 Persian Gulf nations double their oil prices. The price of toilet papers was skyrocketing, so they had to get some money in their economy. District of Columbia Home Rule Act is passed. 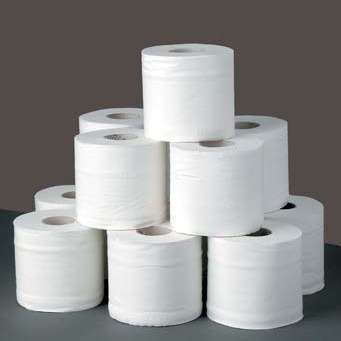 The home rule act specified the number of toilet paper rolls which could be procured and possessed by a family depending on the number of family members, age and the amount of food consumption per month. Soyuz 13 returns to Earth. The soviets had a solution. But they would not reveal yet. Later the soviets revealed that the answer was in India. Water!! But the US would not accept such a solution and went about building new factories which would roll out millions and millions of toilet papers every day. The shortage was over but the cost to keep these factories running was quite high. So they starting invading oil rich countries in one guise or the other to earn some extra money and thus keep their toilet paper factories running. Also such wars required huge amount of arms and ammunitions which gave rise to another booming business in america. Manufaturing arms and ammunitions. So now you know. The US wades war in other countries to keep their toilet paper factories running.